the tree logo comes from the idea that our roots are deep in the Love of God. It also suggests the verse in Psalm 1, which speaks of a tree planted by a stream of water. 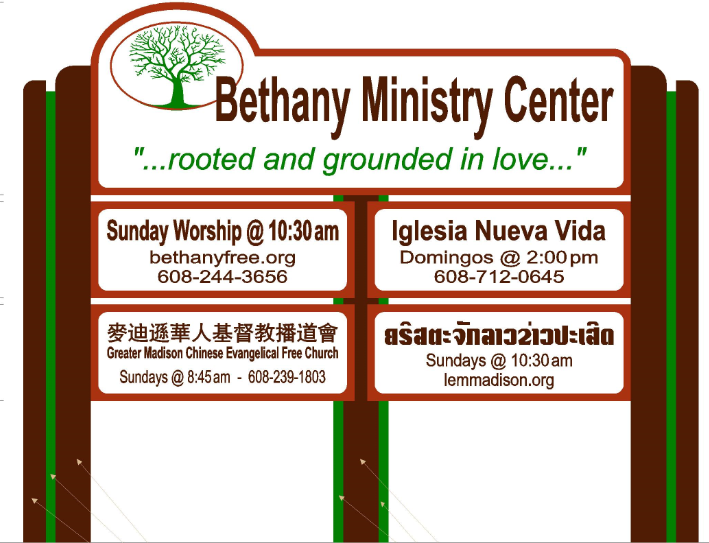 This entry was posted in ministry center, sign and tagged Bethany, Bethany Ministry Center, Chinese Church, English, Lao Fellowship, Nueva Vida. Bookmark the permalink.